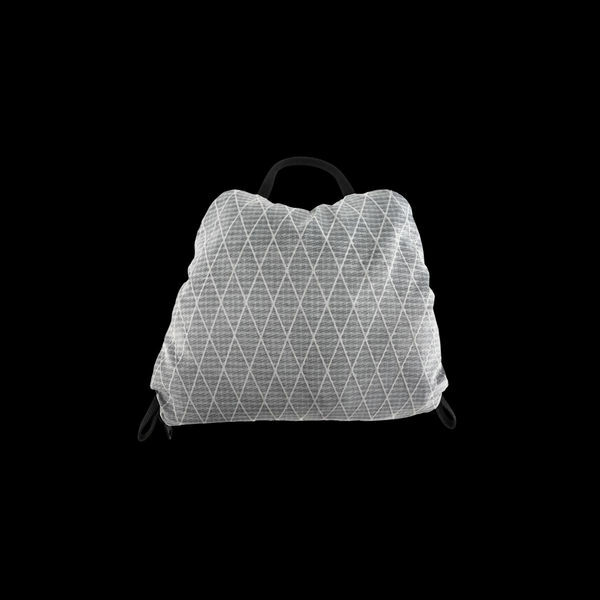 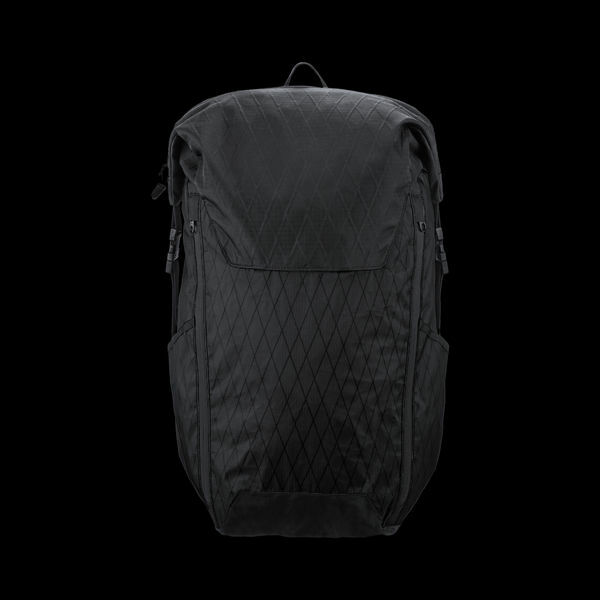 Packed into its own internal mesh pocket. 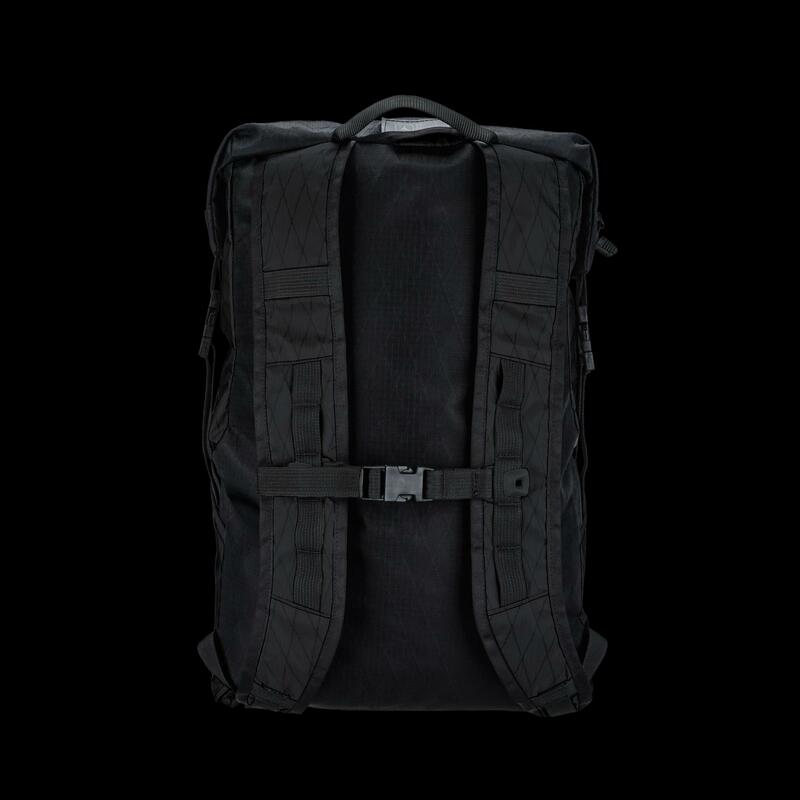 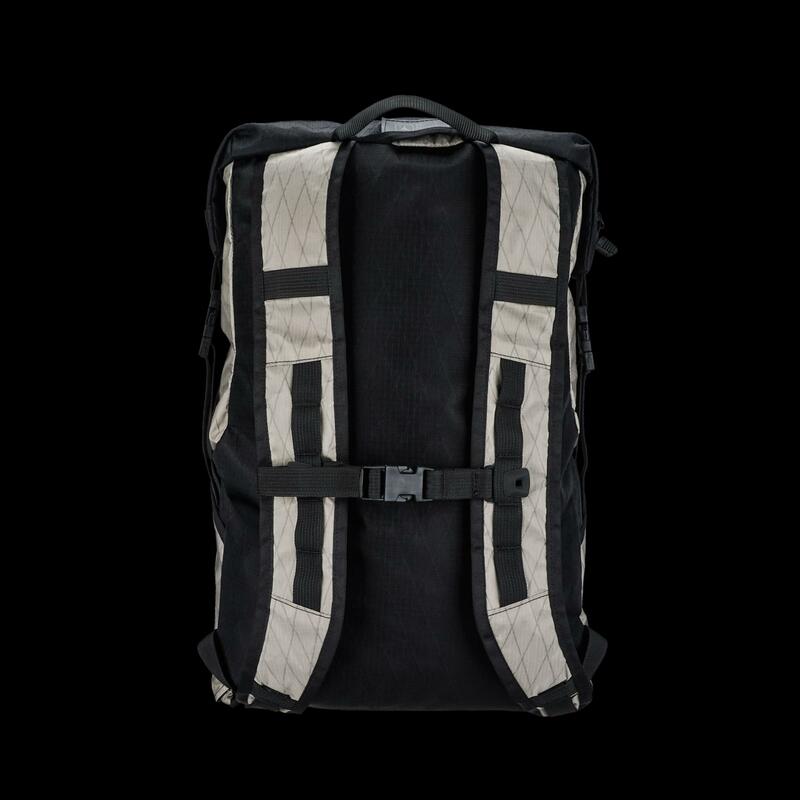 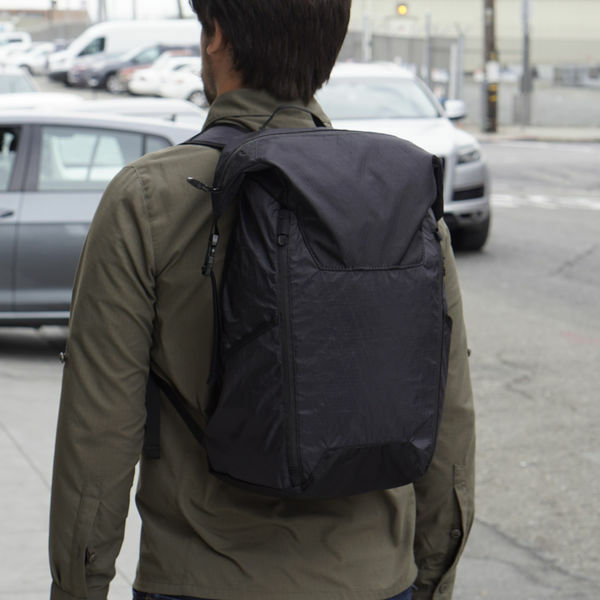 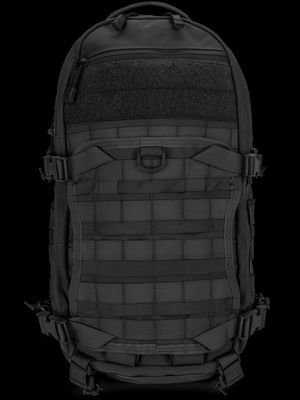 Primarily loaded via the large, water resistant zipper at the top of the pack, the Azimuth Pack also has zippers running along both sides of the front panel. 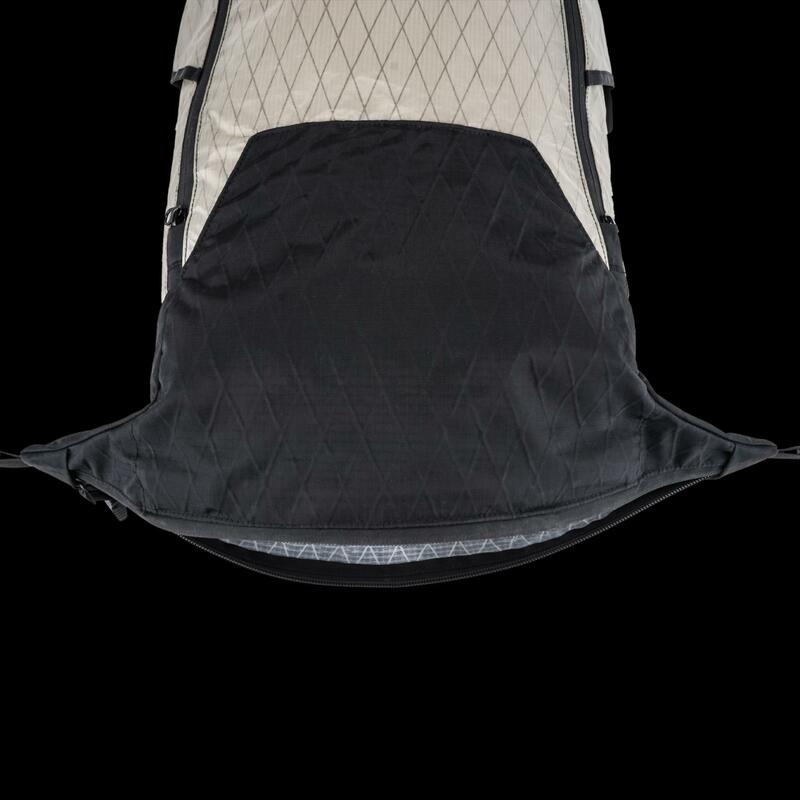 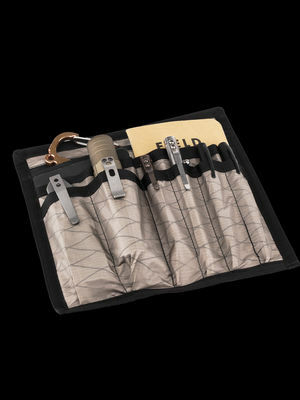 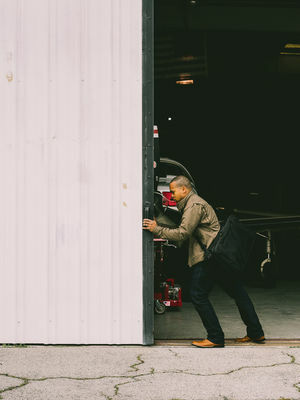 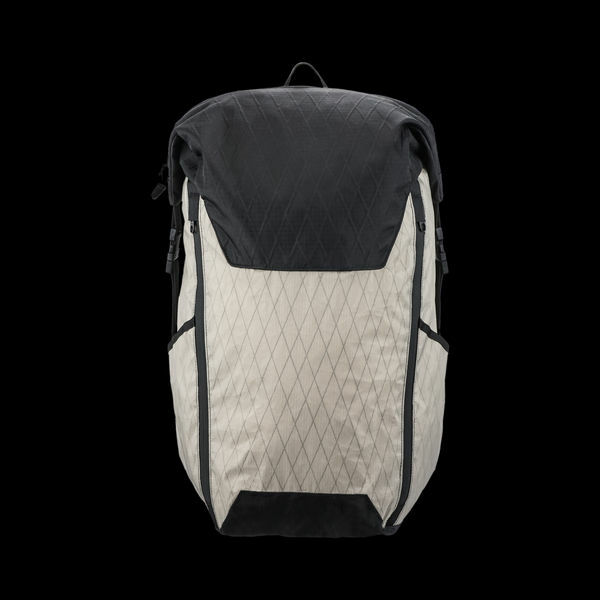 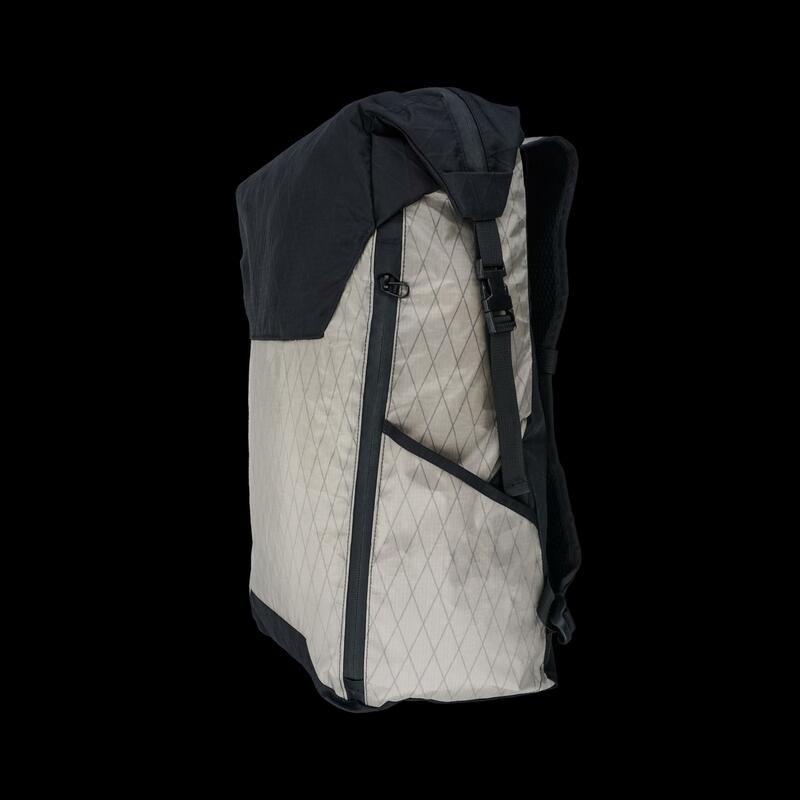 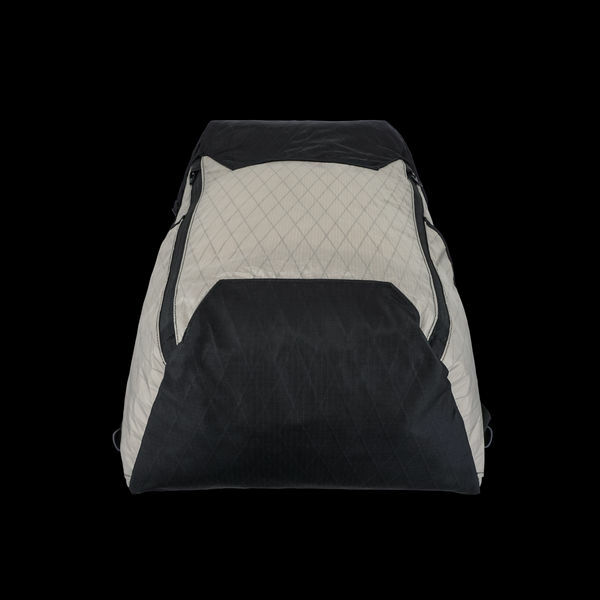 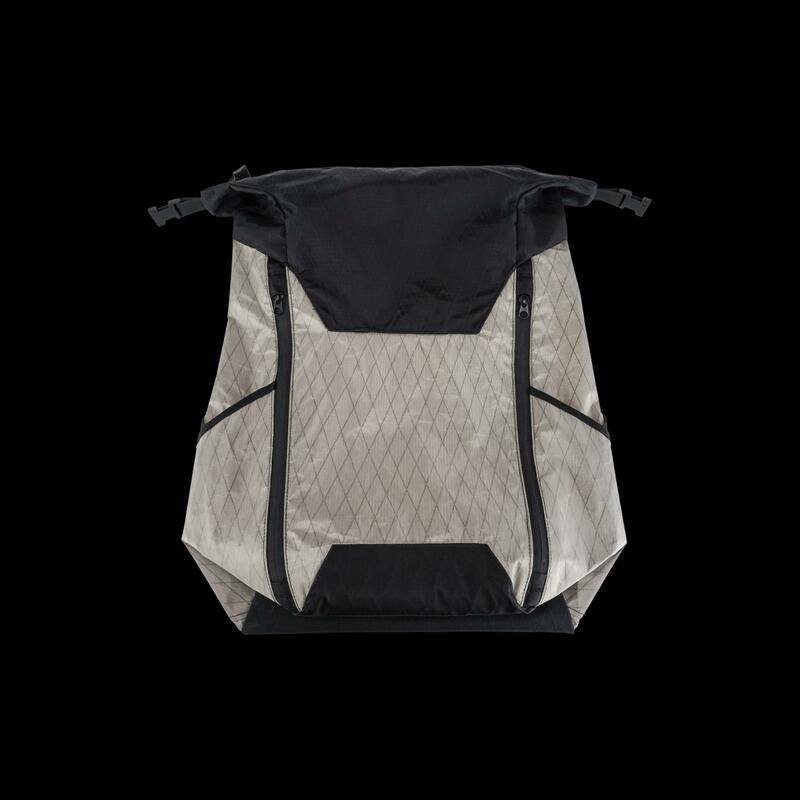 One zipper leads to the main compartment, allowing the user to quickly and easily access items at any layer of the pack, and the other zipper leads to a separate, flat storage compartment that keeps small items readily accessible. 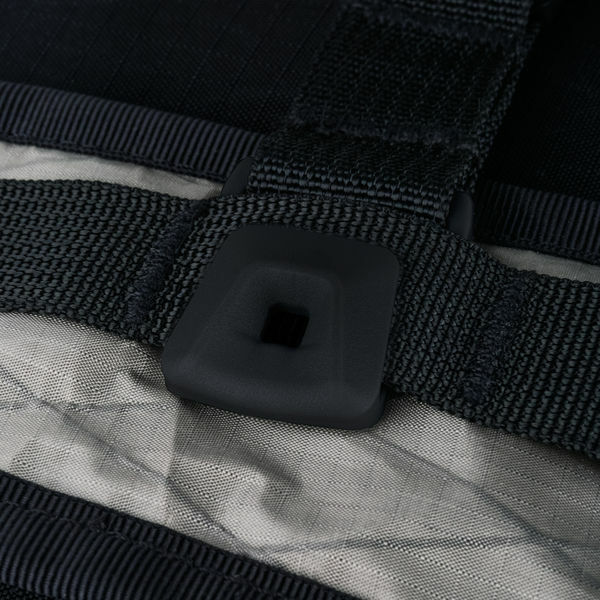 Two Helix (HX) attachment points inside of the Azimuth Pack allow the user to attach Transport Cubes, Transport Sleeves, select Control Panels, or any other compatible storage system securely inside the pack. 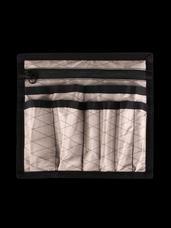 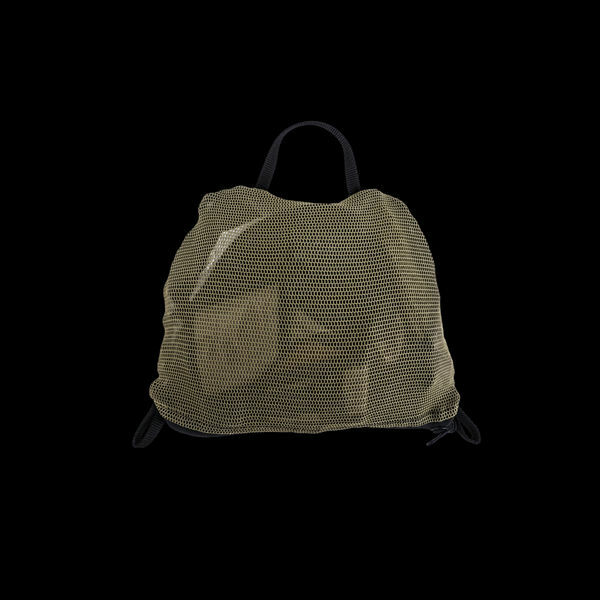 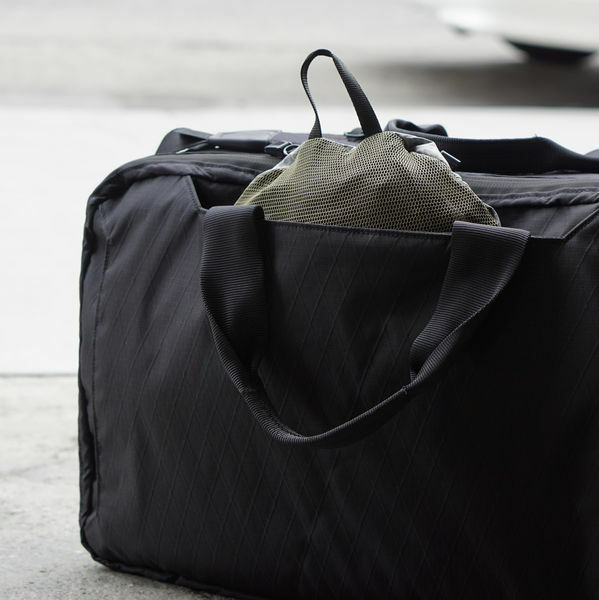 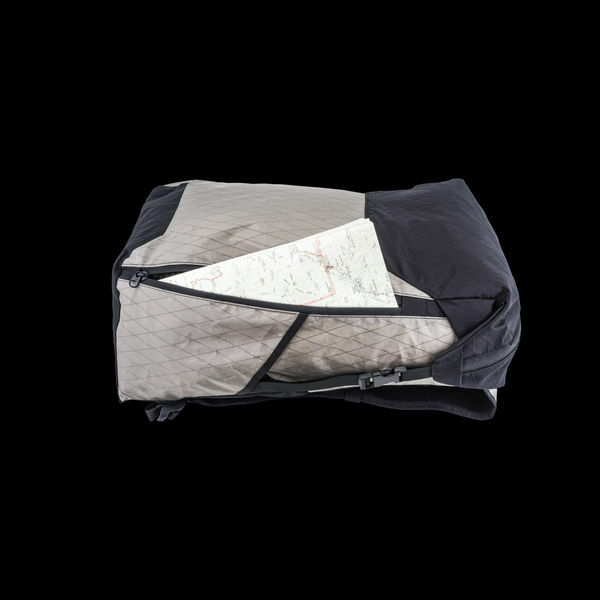 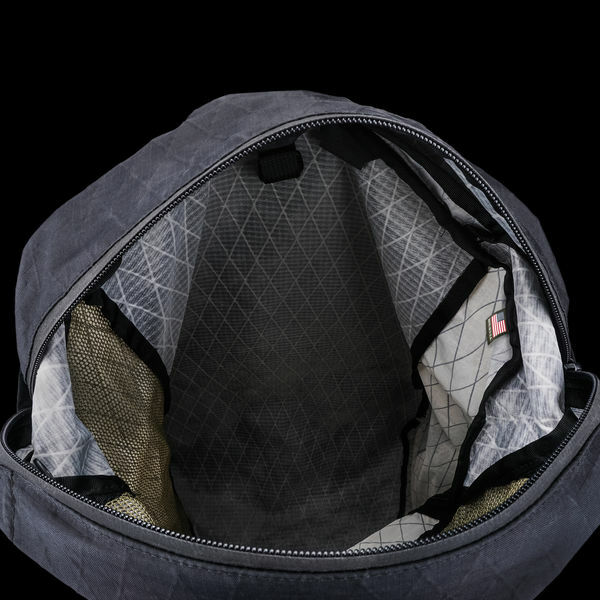 An internal mesh pocket keeps small items accessible at the top of the pack, and also acts as the carrying pouch when stowing the Azimuth for transport. 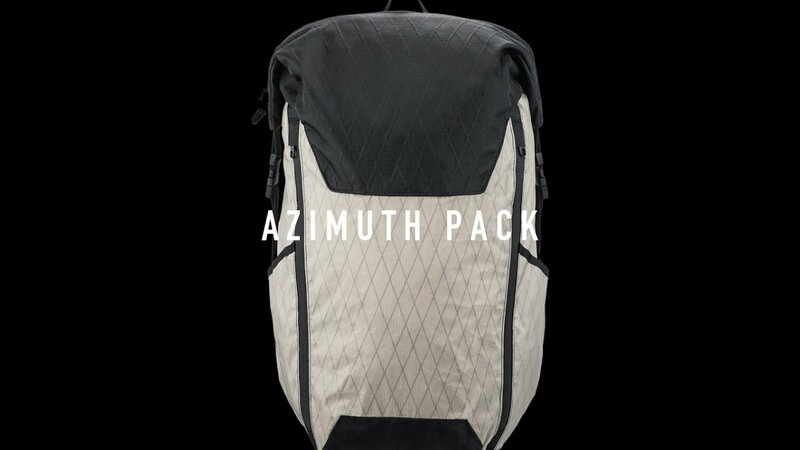 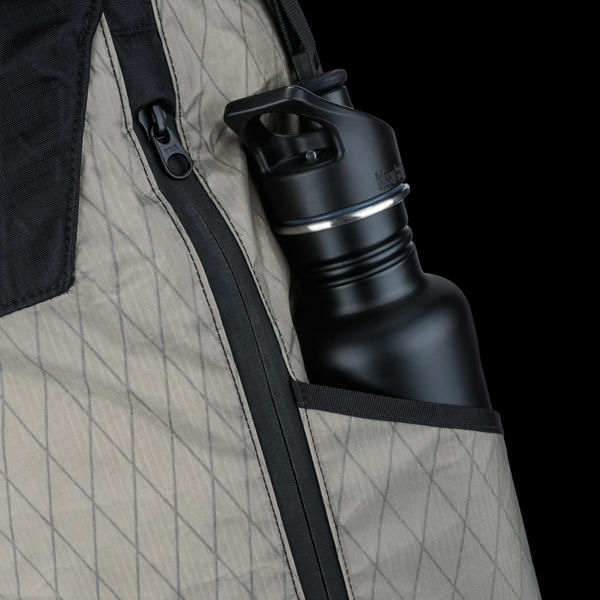 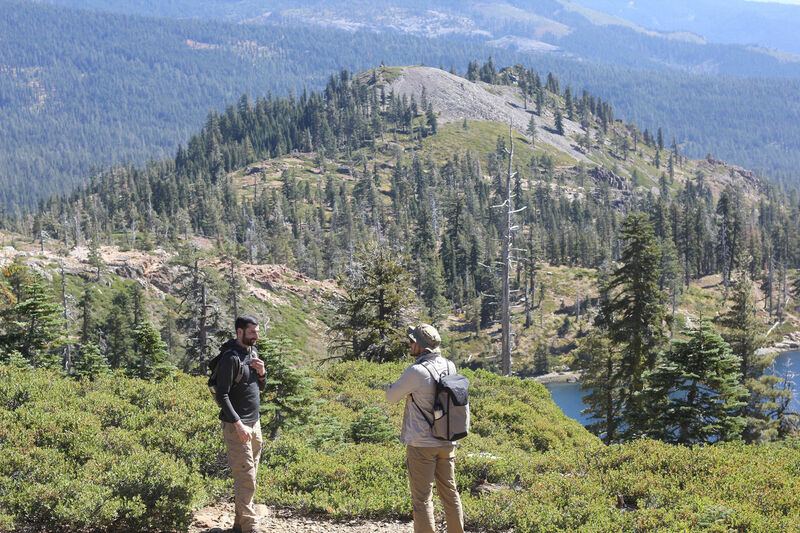 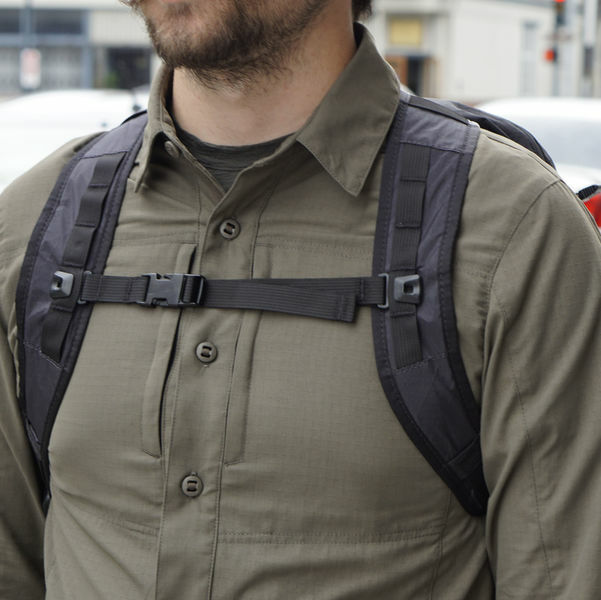 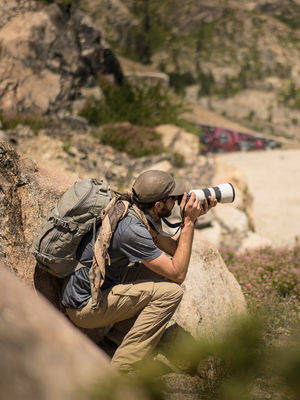 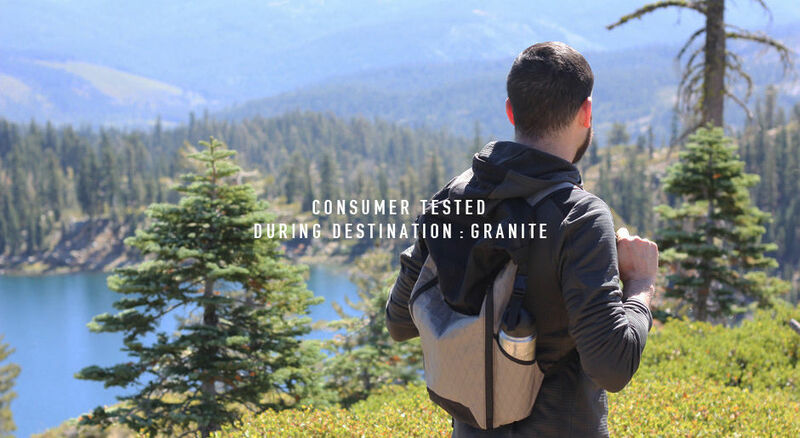 The Azimuth Pack has two quickly accessible external side pockets with attachment loops to help retain essential tools such as a water bottle, compass, GPS, or map. 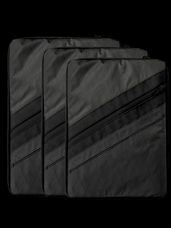 These pockets are ported to allow small debris or loose liquid to escape. 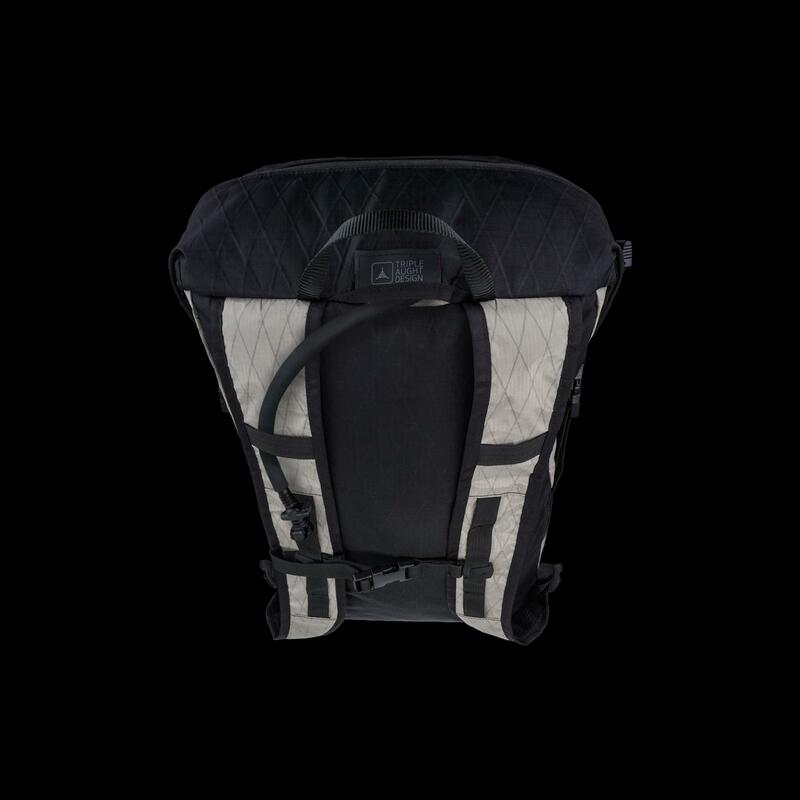 A hydration bladder attachment strap rests inside the top of the Azimuth Pack to allow common sizes and shapes of hydrations bladders to be suspended. The top of the pack is ported to allow hydration hoses to be routed to either shoulder strap. Both straps contain a small elastic loop to secure the hose to the strap.